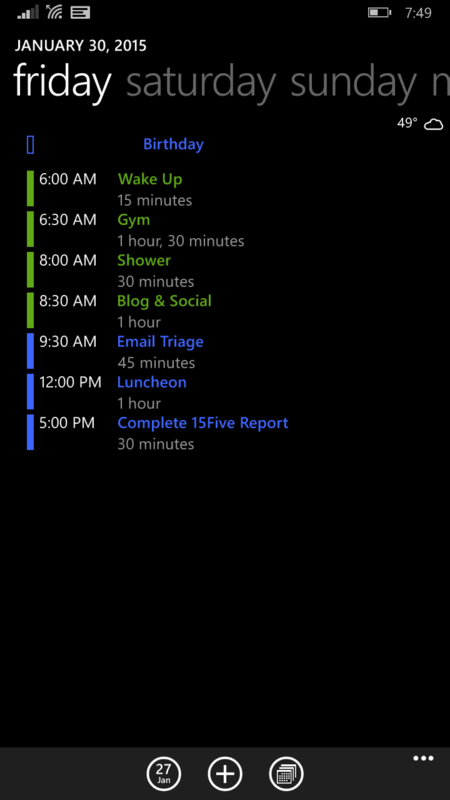 The Calendar for Windows Phone app has been updated with several new features. This is the default calendar app that comes with every Windows Phone but like the Music, Video and other built-in apps, sees an update now-and-again to bring new features or stability. This update, version 1.0.15087.0 for those keeping score at home, is mainly focused on new features instead of bug fixes and includes an all new Agenda view. that you don’t have to scroll up and down on your phone to see what you have going on for a particular day. Set the first day of the year by date (January 1), first 4-day week, or first full week. While it is not explicitly stated in the release notes, there are undoubtedly a few bug fixes and other performance improvements that come with these releases. Calendar is already installed on your Windows Phone so just go to the Store app and check for the update.